Is water damage on your bar's menu? A leaking tap or pipe can cause extensive damage especially if the issue is not recognized immediately and left overnight. 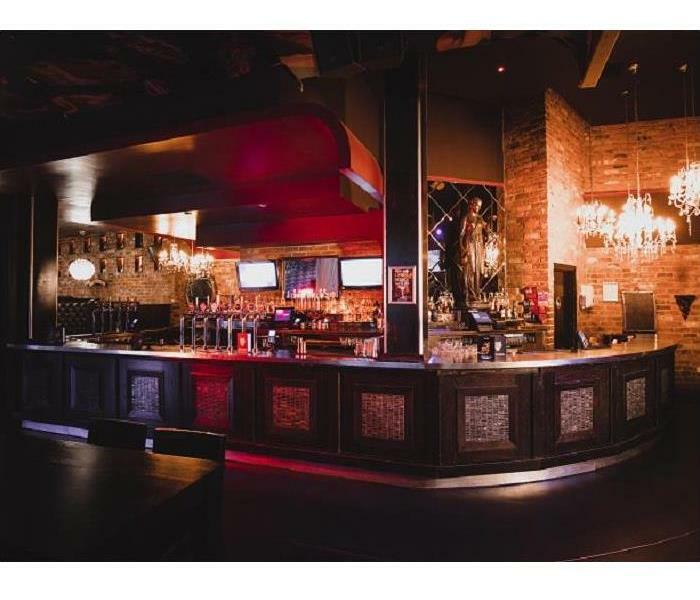 A bar or restaurant is full of fixtures and fittings which provide cavities for water to seep. When that happens, there is a real risk of uncontrolled microbial growth which not only provides an unpleasant environment for your customers but also a health and safety issue. We are a local company with the necessary equipment and resources to handle commercial water damage in Manhattan. Our crew chiefs hold IICRC qualifications in water damage restoration (WRT) and applied structural drying (ASD), allowing them to lead an efficient service for your commercial property. Our technicians are also available after hours for emergency remediation services. In today's industry, remediating property water damages is as much about controlling microbial growth as it is about removing moisture. The presence of microbes in moisture means that bringing humidity levels below 60 GPP in the affected area is an essential part of the service, alongside proper drying behind fittings, in cavities and underneath structural contents. SERVPRO technicians have access to some of the most advanced restoration equipment available today. Injectidry systems are a practical solution to drying inside cavities that may harbor damp spots. Using thermal imaging cameras, your technicians can find residual moisture that may not be noticeable to the naked eye. Working outward from the source we can put in place a gameplan to efficiently remediate the property and limit secondary damages. By drilling small holes in wall cavities or into the base of fittings, SERVPRO can establish an airflow inside the cavity. We then attach injector nozzles into these holes to run a current of warm air that evaporates moisture into the surrounding atmosphere. We can then deploy air movers alongside dehumidifiers to draw that moisture from the air and return the affected area to an average humidity level. Proper drying methods are about preventing secondary issues while keeping temporary closure to a minimum. 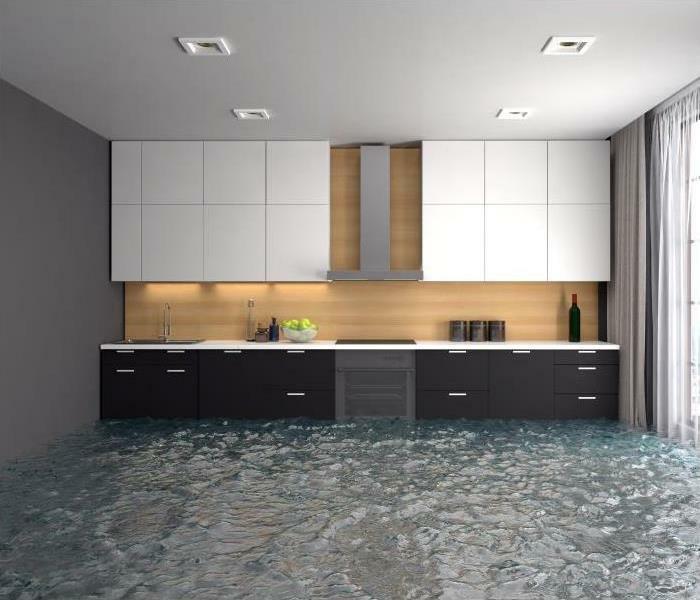 Contact SERVPRO of Upper West Side at (917) 498-1362 to restore your water damage quickly. Read about Columbia University here. Flooding that affects your condo or apartment needs to be taken seriously because often it's not just your unit that is involved. Call SERVPRO. The population and business density of the Manhattan area make it an exciting and vibrant place to live and work. When living spaces experience significant water incursion in the city that density and the residential building configurations offer many challenges. Our highly-qualified team of flooding mitigation professionals has both the training and the specialized equipment to get the job done right and fast. When flood removal in the Manhattan area is needed because of broken water mains or overflowing sanitary sewers during heavy rains, garden level condos and apartments suffer the most. Although all spaces in a multi-story residential property can have issues when lower levels are flooded, living at or below the street targets those units for a rapid emergency response. Our crews arrive ready to assess the situation begin restoration efforts immediately. Each SERVPRO service vehicle carries a full complement of water removal and structural drying equipment. We can pump and extract water from your home even if the electricity service is interrupted. Our gas-powered and truck mounted tools prevent delays that could mean progressive damage to your property and serious secondary concerns like mold growth. We employ thermal scanners to locate hidden water migrating into cavities after a flood to ensure all fluids are contained and removed. Expert flood recovery needs an accurate measurement of moisture levels throughout the process. During IICRC training SERVPRO technicians study the science of psychrometrics, the principles behind applied drying techniques. Establishing drying goals based on reliable moisture measurements is vital. We use meters and probes to fix baselines and revisit those levels to assess how well the air movers, heaters, and dehumidifiers we position in your space are reducing moisture in the structural components of your home. To attend better to the requirements of your furnishings and personal possessions during flood removal SERVPRO might recommend a pack-out of some items. At our production facility, we can clean and dry out articles you fear were ruined using advanced technologies such as freeze and thermal drying. We use a Contents Claim Inventory Service (CCIS) protocol to create and maintain an inventory and track restoration attempts. This documentation helps us work with your insurer as well. SERVPRO of Upper West Side is ready to help when your apartment or condo is afloat in flood waters. One call to (917) 498-1362 can line up water removal, structural and contents drying, and assistance with your insurance claim process. Click here for more information about the city of Manhattan. Call SERVPRO of Upper West Side to restore your fire damaged home. Fires that occur in your Manhattan condo can often get quickly extinguished with fire suppression systems installed in the property. While this can often prevent catastrophic damage to your residence, these same suppression systems can often create widespread damaging effects of their own if not cleaned quickly and adequately. Our professionals have a prompt response to fire emergencies, and we have training in the recovery of properties contending with residues from suppression systems to get you back to your normal life quickly. Recovery of fire damage and cleaning up the residues of fire suppression products in your Manhattan condo should begin as quickly as possible. Our SERVPRO professionals have a 24/7 response to fire emergencies to ensure that no customer waits for the mitigation and cleanup solutions that their property needs. This approach also includes protecting and cleaning the contents of your condo affected by this residue or effects from the fire itself. From the time that our SERVPRO team arrives at your condo, we can get to work on establishing the full spread of the fire damage to set up containment and begin mitigation. Our contents department can earmark damaged or at-risk items for removal to our nearby facility. These same professionals can provide focused cleaning and deodorization for affected items and safely store these items until restoration completes. While these items are getting packed up for their transport, our IICRC-certified cleaning specialists can begin work on removing the fire suppressant residue from the walls and surfaces throughout your condo. 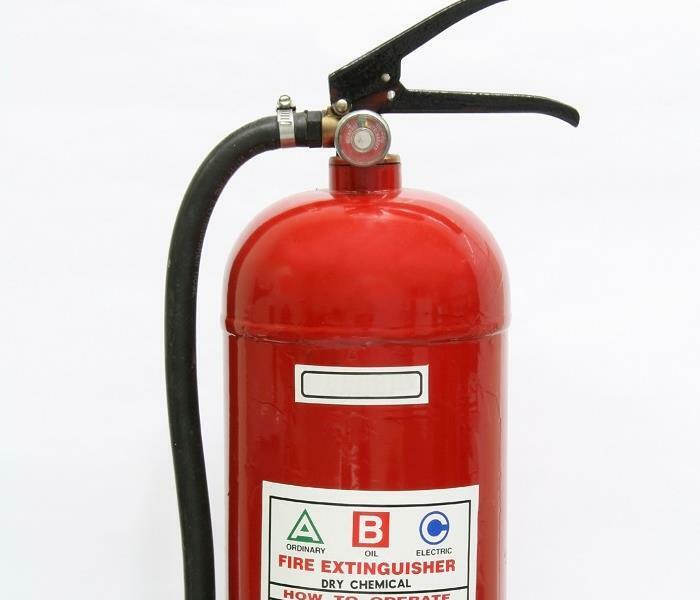 Dry chemical fire extinguisher residue is among the most common to clean up after the suppression of a smaller fire. Whether this has gotten installed above your stove or has come from canisters installed strategically around the condo, removing this residue requires a specific approach. With sodium bicarbonate and potassium bicarbonates, cleanup requires a mixture of cleaning solutions to neutralize these chemical compounds. 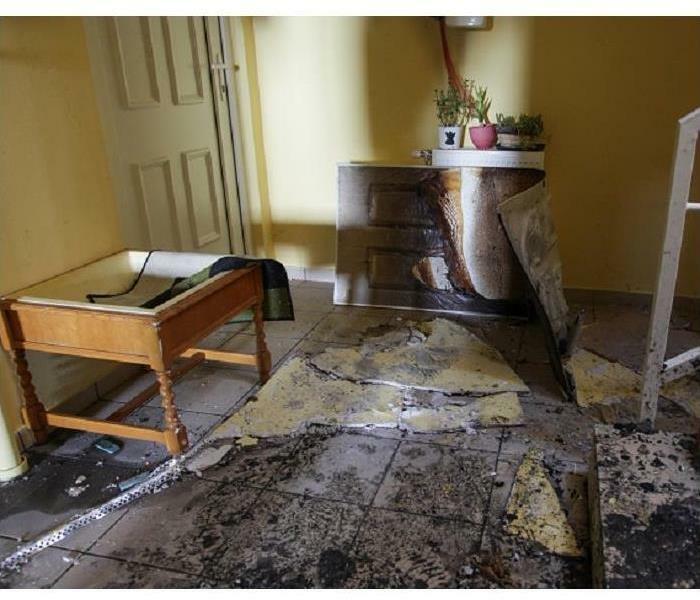 While suppression systems and fire extinguishers can keep a fire from getting out of control in your condo, the cleanup of the lingering residue requires skill and knowledge. Our SERVPRO of Upper West Side rapid response team can make all aspects of fire damage “Like it never even happened.” Give us a call anytime at (917) 498-1362. If You Have A Flood Damage Issue In Your Manhattan Home, Call Our Professionals Immediately! Excellent response times and industry-leading services are why SERVPRO of Upper West Side should be your first call after flood damage. When flood waters enter your Manhattan property, you need to respond with speed and confidence. Allowing water to remain unabated for even a few hours dramatically increases the probability of progressive deterioration of building materials and the chance of secondary issues such as mold damage. Rely on a company that considers water damage remediation a core service for the best outcome. Our commitment to attend to Manhattan flood damage within minutes to hours of the leak, break, or backup is why working with our professionals is the key to a successful resolution. Every vehicle in our service fleet is ready for action, packed with the equipment needed to evacuate even large quantities of water and then dry out your living spaces thoroughly. When a SERVPRO crew rolls up to your residence a seasoned project manager reviews the situation. No delay occurs between that assessment and implementation of the plan as our employees are trained, equipped, and ready to get to work. Flooding deeper than two inches is pumped out, and then our powerful wanded extractors take over to evacuate moisture in crevices and recesses. 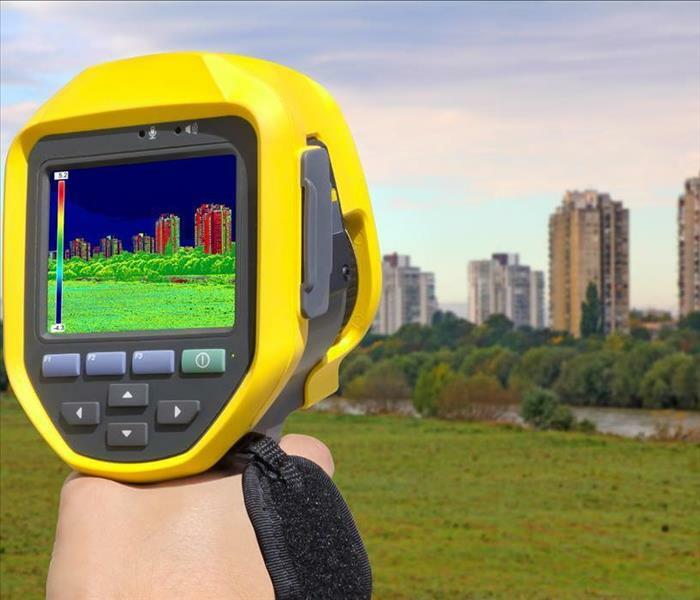 Technicians monitor moisture levels and scan for hidden water with thermal imaging devices. Using verifiable data rather than assumptions is why SERVPRO crews feel confident that flood damage is under control when we are on the job. Leaving any residual water can be harmful to structural components, so our efforts are necessary. Once the flood water exits, we transform into structural drying mode. Air movers, heaters, and dehumidifiers roll off our vehicles, positioned by our team to efficiently pull moisture from building materials into the air as vapor. That vapor is condensed or absorbed by our humidifiers for removal. The seamless shift in focus is another reason why SERVPRO is second to none in the flood restoration business. To be sure to prevent any contaminants from endangering your family’s well being, we apply EPA-registered disinfectants to the flood-damaged surfaces. A relentless commitment to finishing each job “Like it never even happened” is why SERVPRO boasts so many positive reviews and customer confidence. Excellent response times and industry-leading services are why SERVPRO of Upper West Side should be your first call after flood damage. Reach us at (917) 498-1362 day or night. Click here for more about Manhattan. Life in Manhattan is exciting, vibrant and not for the faint of heart. It almost feels like the heartbeat of the world itself lies underneath this metropolis where young and old come together to set the pace for the rest of the globe. However, living in Manhattan does not exempt renters and homeowners from dealing with the trials and tribulations dwellers face nationwide. The sheer pace of the Big Apple can add an extra layer of challenges when a pipe bursts or a bathtub overflows. If you face water damage to your home in Manhattan, make use of our 24/7 line and reach our expert SERVPRO team to help restore your home as quickly as possible. Precisely because you want to save the character of your upper west side home, you need to take action immediately to avoid widespread damage to your unit and the rest of your building. Thankfully, our team is trained to work within the constraints of modern-day Manhattan and can apply its experience to your benefit. Once the source of the leak is under control, our Green Fleet works to identify water remnants and extract the liquid from your home. Our thermal imaging cameras let us know if water has accumulated in places such as under floorboards or other crevices. By closely monitoring the moisture levels in your home, our SERVPRO team determines how to proceed with the extraction and drying process. Ideally, we arrive as soon as the leak happens. However, it is not uncommon for a pipe to be leaking for some time before you notice its presence. When water stands for a while, it can serve as breeding ground for mold and other bacteria. As our SERVPRO team dries your home and its contents, we also focus on disinfecting and preventing further proliferation of organisms. For some cases, we may use air filtration devices and air scrubbers to improve air quality, thus anticipating unwanted ramifications from the water damage to your home. Do You Have a Water Loss Emergency Plan For Your Manhattan Retail Store? Call SERVPRO to develop a comprehensive Emergency Ready Plan and Profile (ERP) for a water disaster. Risk anticipation and a plan to minimize harm are smart moves for retail shop owners in Manhattan. Businesses work hard to attract and retain loyal customers. Disastrous circumstances such as flooding or other water loss can drive loyal clients of your goods and services to another source if you are unprepared. The results our trained and well-equipped work crews achieve when we are familiar with your business layout and operations can have you back on track quickly. Water damage in your Manhattan shop can trace to many different causes. Plumbing lines can break, appliance hoses or connections can crack or dislodge, and neighboring business or residential tenants in the same or adjoining building can create water emergencies that affect your space. Your sales floor, storerooms, offices, and other areas all can suffer damage. Inventory, equipment, and documents risk ruin. You have backup strategies for other aspects of your business. SERVPRO can help you develop a comprehensive Emergency Ready Plan and Profile (ERP) for a water disaster. The more we know about the physical layout of your store, the location of utility lines, and how you conduct your operations, the better we can serve your needs if a water crisis exposes you to loss. An experienced SERVPRO project manager assesses your space. We create a digital “footprint” of all the space you occupy, evaluate the water loss vulnerabilities of equipment and goods in all areas, and discuss your operations to gain a firm grasp of how your business works. We make suggestions to limit the impact of an unexpected water event, including effective ways to shield inventory, documents, and the tools of your trade before water intrudes. You personalize the ERP by using our mobile app to add essential details to the overall plan. Identify and provide contact information for vendors and contractors who sold or leased equipment or developed systems for your shop. Designate trusted employees to act in your stead if water damage occurs when you are unavailable. Make it clear you choose SERVPRO to provide emergency water damage mitigation so we can respond immediately. SERVPRO of Upper West Side protects your business best if we arrive at your water loss scenario with an easily accessible digital plan. Call us at (917) 498-1362 to prepare jointly to be Faster to any size disaster. Read about New York City government here. 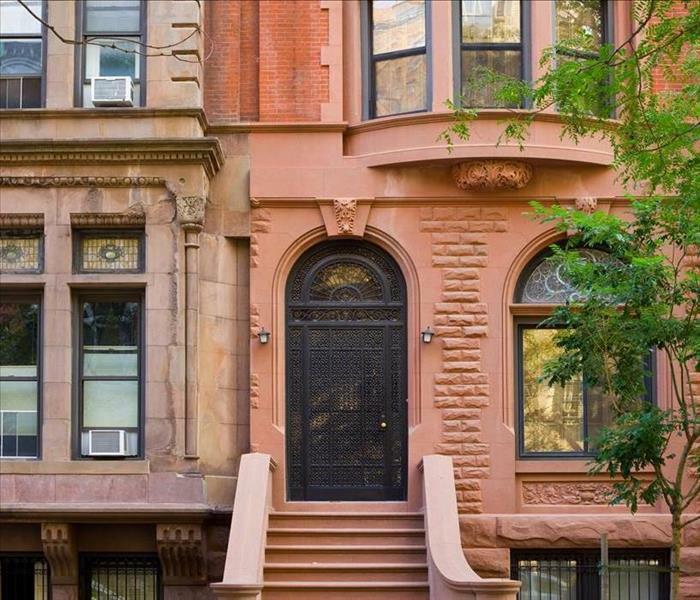 Your Manhattan townhouse often has livable space in the basement area with finished construction. While this can be a welcomed addition to the layout of your home, it also poses risks when disasters like flooding strike. As the lowest levels of your property are often the first to succumb to the spreading floodwater, your finished basement requires professional restoration technicians to respond quickly to this emergency to provide real-time mitigation solutions designed to protect your belongings and dry up the damaged area. When flood damage occurs in the finished basement of your Manhattan townhouse, there is often no avoiding the need for controlled demolition and reconstruction. The amount of this removal effort required depends on the response of restoration technicians to the scene to begin mitigation tactics to prevent the spread of water damage throughout this area of the property. Our SERVPRO technicians are available 24/7 to respond to emergencies and provide immediate attention to damaged homes. Before we can get to the necessary drying efforts that your basement requires, our contents department can begin removing at-risk items from this lower level of your property. In many cases, with focused drying, disinfection, and cleaning, your belongings in this affected area can get restored entirely and returned to the property once restoration completes. Drying is a vital component to the restoration and mitigation process following a flood. These efforts can help to preserve structural elements like studs and framework to prevent costlier reconstruction bills once the area gets thoroughly dried, disinfected, and cleaned. Our controlled demolition techniques can help to make the transition between mitigation and reconstruction smooth and efficient, limiting the time the overall restoration process takes. As traumatic as flood damage might be to your home and your family, knowing the right team to call when disaster strikes can save you time and money in restoring the damages. You can count on our SERVPRO of Upper West Side to provide a fast response with industry-leading equipment to make flood damage “Like it never even happened.” Give us a call anytime at (917) 498-1362. 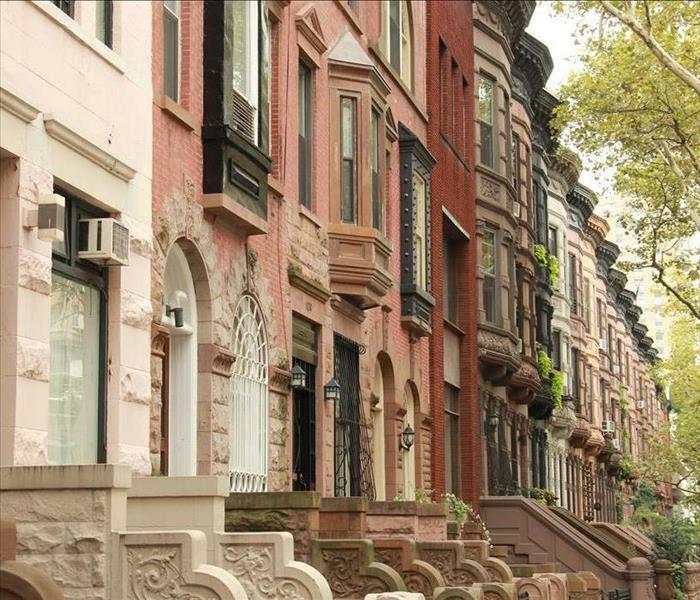 All about the Upper West Side by clicking here. Fire suppression systems requires special cleanup. Over range fire suppression systems are becoming more and more common throughout Manhattan homes and properties to reduce the fast spreading nature of kitchen flare-ups. While these might quickly put out a potential fire, it does not happen without damages and a mess of its own to face. Powder suppression can spread the extinguishing material throughout the affected area, and when coupled with smoke and soot damage from the small fire, can become problematic to overcome without the right training and equipment. After a small kitchen flare-up that engaged the suppression system, you get your first look at the fire damage in your Manhattan property. Residues from powder, smoke, and soot affect many of the surfaces in the immediate area and cleaning these as promptly as possible can reduce the possibility of staining. If the damage stays primarily contained within the kitchen, our SERVPRO team can isolate this area with the use of thick plastic sheeting and other containment strategies. The wipe down process can reduce and eliminate a large portion of this residue from surfaces within the affected areas. Quickly cleaning these damaged surfaces can help to reduce the possibility of requiring replacement of certain materials by protecting and preserving cabinets, appliances, flooring, ceilings, and even the HVAC system if soot, smoke, and residual powder get pulled into the ductwork. Lingering odors are another problem that property owners face after a kitchen fire. Our SERVPRO professionals have advanced equipment like our hydroxyl generators that can help to significantly reduce or permanently eliminate noxious odors throughout this kitchen area. The containment that isolated this affected region of your home can help to ensure the effectiveness of the deodorizing equipment. Powder suppression systems can sometimes cause more of a mess than smaller fires that they work to prevent. Whether you need cleanup or full restoration to your fire-damaged structure, our SERVPRO of Upper West Side restoration technicians can help. Our rapid response team is available 24/7 by calling (917) 498-1362. The architecture throughout Upper West Side Manhattan has a unique look and feel that sets the townhouses, condos, and high rises here apart from any of the other boroughs. Part of that character comes from the older properties, many of which still have their original copper plumbing beginning with the primary service line from the distribution system and throughout the network of piping indoors. This material, while formerly the common choice in new construction, has begun to show its weaknesses over the past decades in rusting and scaling. Rust can erode the material, ultimately causing it to be too thin to withstand the pressure of a charged water line and rupturing it. When this kind of water damage occurs on the second floor Manhattan condo, there are many potential threats that both the property and adjacent units could experience. It is important to get the right trained personnel to the emergency as quickly as possible to prevent widespread irreparable loss to areas like the hardwood flooring and to prevent the spread of this damage through shared walls to affect other units. Our SERVPRO professionals have unique and powerful equipment designed to dry up damage like this quickly to preserve original construction materials whenever possible and keep restoration costs to a minimum. With damage to hardwood flooring, it is vital to understand the full extent of the damage from the time that we arrive. We can utilize thermal imagery to see moisture pockets beneath the surface to determine the best location to set up drying equipment. For the flooring, we can use air movers, LGR dehumidifiers, and even our large drying mats to pull moisture from the planks to remove dampness in the subflooring. For affected areas like wall cavities, tools like our SERVPRO injectidry system can effectively dry out these damaged areas without the need for excessive tear out. Protecting your property is often much more than just preserving the materials used in its construction. 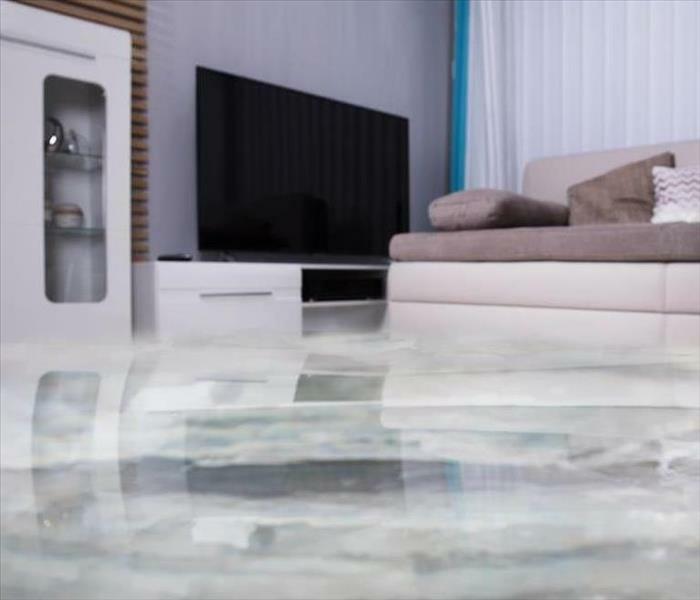 For your condo or townhouse, you want to protect your investment and make water damage “Like it never even happened.” Give our SERVPRO of Upper West Side water restoration specialists a call today at (917) 498-1362. Click here for the "must-see" legendary site. 3/28/2019 - If You Have A Flood Damage Issue In Your Manhattan Home, Call Our Professionals Immediately! 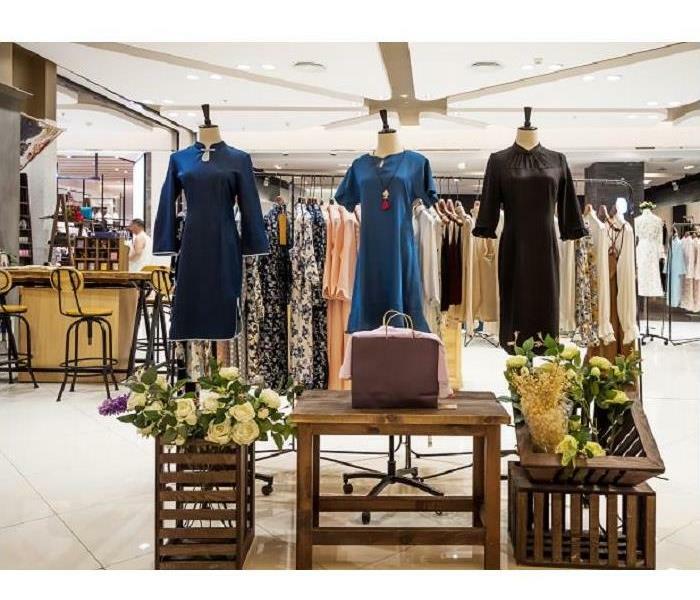 3/5/2019 - Do You Have a Water Loss Emergency Plan For Your Manhattan Retail Store?